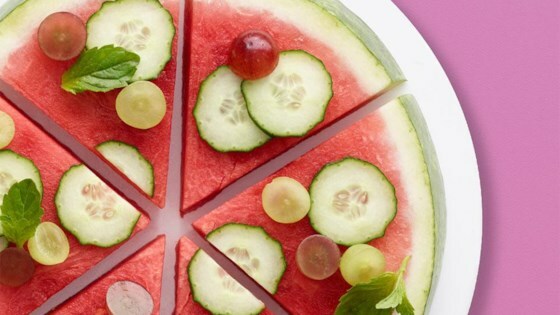 "A slice of watermelon cut into wedges is the 'crust' of this summery pizza. Top with fresh fruits and veggies for refreshing flavor and crisp texture." Arrange watermelon on large plate or cutting board. Sprinkle with desired toppings. Cut into wedges to serve. TIP: Drizzle with balsamic reduction.